Sometimes the hardest part of being a caregiver is letting go. Shamira, who lives in the Vancouver area, has been a full-time caregiver for two decades – first for her dad and then for her mom. But Shamira’s mom needs to go into a care facility, and Shamira needs to come to terms with the difficulties of taking this next step. Her story is a part of the Caring for Those Who Care series, in which well-deserving caregivers get a personalized gift to show themselves some self-care. 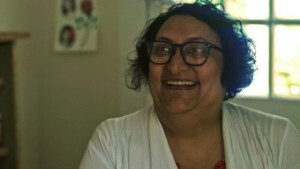 Find out more about Shamira’s story at https://www.youtube.com/watch?v=TirIStwWzgw.